Das is recently divorced, moving out of the city to start a new life when he meets Aislinn. Their affair is something the reader simply has to indulge in suspended disbelief because no emotional depth ever develops between the characters to make their interactions believable. As Das pursues a career in photography, Aislinn plots to separate the human and fae realms forever in hopes that this will save both worlds. In order to explain Aislinn’s quest, the author takes the reader back and forth through Aislinn’s immense history to explain her fae origins and the complicated relationships she maintains with the Sidhe and the longing she has to be human again. However, when Das grows suspicious of Aislinn, his search for the truth could destroy them all. The story started off a bit confusing for me and it took a while for me to get into the plot. In addition, I found the frequent shifts in timelines, and story lines, jarring because I’m not a fan of being sling-shot back and forth through a character’s history and present circumstances. The story is quite imaginative and the author is expansive with Celtic lore, weaving an interesting tale that culminates in the early 21st century. However, I became a little disenchanted when I realized this is not a romance. REFLECTIONS OF THE GODS is a fantasy quest and it doesn’t end happily as far as I’m concerned, which left me unsatisfied. That’s not to say that I’m disappointed with the story itself. 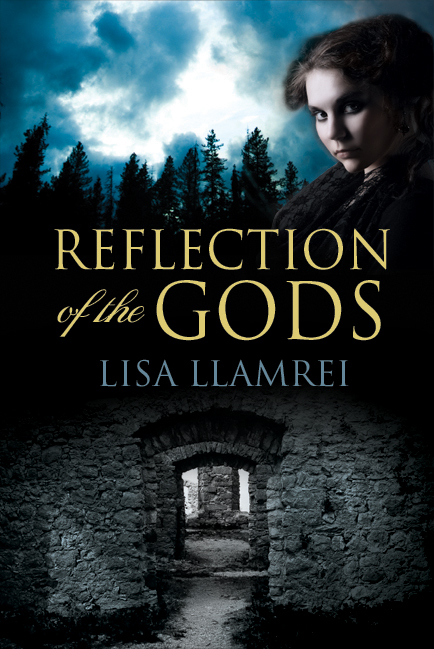 Although it didn’t quite meet certain expectations, REFLECTIONS OF THE GODS did intrigue me with its elaborate plot. Book Blurb: Newly divorced Das MacDermott longs for a fresh start. As he packs up and prepares to move out of the city, he spots a young woman being held at gunpoint by three men. Despite being outnumbered and unarmed, Das does his best to intervene. Once liberated, the victim seems oddly ungrateful, but on an apparent whim decides to join Das in his new life in rural Ontario. Aislinn, as she is called, returns the favour; with her encouragement and support, his start-up photography business takes off, and more importantly, Das is saved from loneliness and self-doubt.